The Miss Peach Queen Pageant at the annual Chilton County Peach Festival. 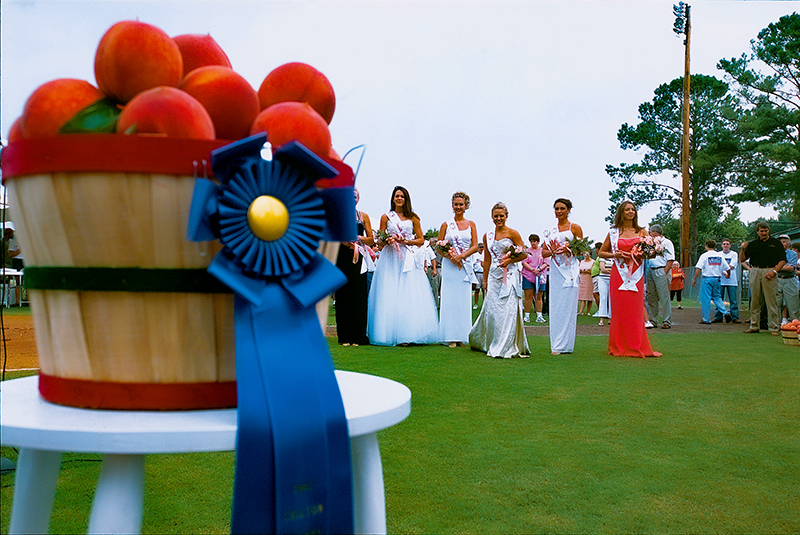 Every June since 1947, Chilton County has hosted a Peach Festival with events that include a peach cook-off, beauty pageants, a parade, and an antique car show. Courtesy of Southern Living, Inc. Photograph by Meg Simile.